Dr. Chuck Staben is the new president at the University of Idaho. The State Board described Staben's impending departure as a "mutual decision." 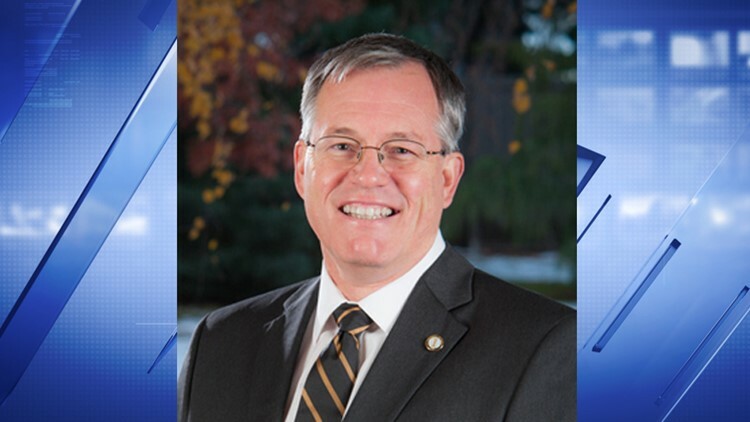 MOSCOW, Idaho -- University of Idaho President Chuck Staben's contract will not be renewed after next year, the State Board of Education announced Friday. Staben, who has headed the university since 2014, will remain in the president role through June 2019. The State Board described Staben's impending departure as a "mutual decision." In a letter to faculty and students, Staben touted the school's increased enrollment and retention during his tenure, as well as growing research expenditures. "While this is difficult, I want you to know I am proud of what we have accomplished together and look forward to the challenges and successes we will have in the coming year," he wrote. The board said the decision not to renew Staben's contract is not related to the sexual assault investigation that has roiled the school. Athletic Director Rob Spear is currently serving a 60-day administrative leave while investigators examine allegations of the school mishandling reports of sexual assault in 2012 and 2013. That review is "ongoing and unrelated to this decision," the board wrote, adding that the final report is expected soon. Staben echoed that his departure was not connected to the investigation, and acknowledged "challenges" during his time as president, including rancor over his application at the University of New Mexico and his decision for the university to join the Big Sky conference. "My decision to pursue a presidency at another university caused a distraction," he wrote. "Strategic evaluation of our programs and units during Program Prioritization was difficult. The decision to affiliate out football program with the Big Sky Conference was, understandably fraught with emotion and conflict." Staben's departure means the State Board will be contending with openings at for two major Idaho universities: The board announced last week they would extend the search for a candidate to replace Boise State University's president, Bob Kustra. Kustra is retiring at the end of June. The board says it will work with U of I to come up with a transition plan, and will determine a timeline for the presidential candidate search.